Tulsa Expungement Attorney | Wirth Law Office | (918) 879-1681 | Oklahoma Expungement Lawyers. Are old court records making it difficult for you to find employment, win trust of colleagues or pass background checks? 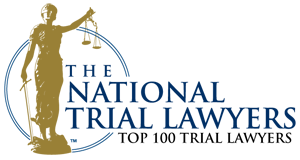 You might need the counsel of a Tulsa expungement attorney. Many people who have a brush with the law reach deferred-prosecution agreements that let them comply with conditions of probation and avoid prosecution. Some are often surprised to find their cases have not been expunged from court records long after they’ve finished probation. Is that you? 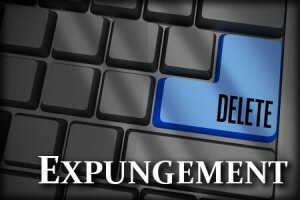 It may be time to contact a Tulsa expungement attorney to find out if you can have your criminal record expunged. Oklahama laws provide two levels of criminal record expungement. The most common method requires a court clerk to remove your name from docket sheets, expunge the public case file and to keep the case index confidential. Even in a felony expungement, court information may be redacted from the clerk’s computer and from official public Web sites. From then on, those who search a defendant’s name will find no record in the court or on official court Web sites. It is never to soon to consider how to expunge your record when you face a criminal charge. An Oklahoma expungement attorney may advise you about steps you may take even before your case is closed to be sure your criminal history is removed from court records. In some cases, Oklahoma even provides a way to expunge arrest records. In those situations, an Oklahoma expungement attorney can file a petition for expungement of arrest records. When Can Cases Be Expunged? When a person has met all of the conditions of probation and a case has been dismissed, in some cases the court records may be sealed. It is not an automatic procedure. A person must file a petition for expungement to clear their record. In some cases, a person may file for “expunction” of court records two years after a deferred sentence is completed. A person convicted of a misdemeanor may request to have their record sealed 10 years after the end of the most recent misdemeanor conviction. A person convicted of a non-violent felony may be eligible to have court records sealed if they have not been convicted of a misdemeanor in the past 15 years. When a criminal record follows you wherever you go and gets in the way of your success call the Oklahoma expungement lawyers at the Wirth Law Office. Tulsa, OK expungement attorney James M. Wirth can represent Oklahomans who want to clear their name by expunging the record of their criminal case. If you’ve had a brush with the law and want to know how to get criminal records expunged in Oklahoma, call Mr. Wirth at (918) 879-1681. Don’t let your past get in the way of your future. 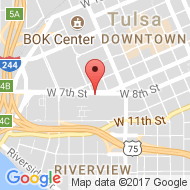 If you need a free consultation with an Oklahoma attorney or criminal defense lawyer in Tulsa about how to expunge your record, call the Wirth Law Office – Tulsa at (918) 879-1681 immediately.